If you like Salted Nut Rolls you will love this little treat. My Friend Jenny told me about this last year and I gave it to quite a few of my friends and family and everyone loved it. The great thing is that it's easy to make! 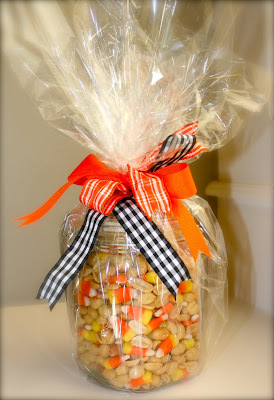 Measure equal parts of candy corn and salted peanuts (not dry roasted) and mix together in a large bowl. Scoop into a cool container, wrap in cellophane and tie with corresponding holiday bows (I found this ribbon in my scraps drawer). When you eat a little handful it's a perfect mixture of salty and sweet and chewy and crunchy at the same time. When you give this yummy treat to your friends they will be so impressed! 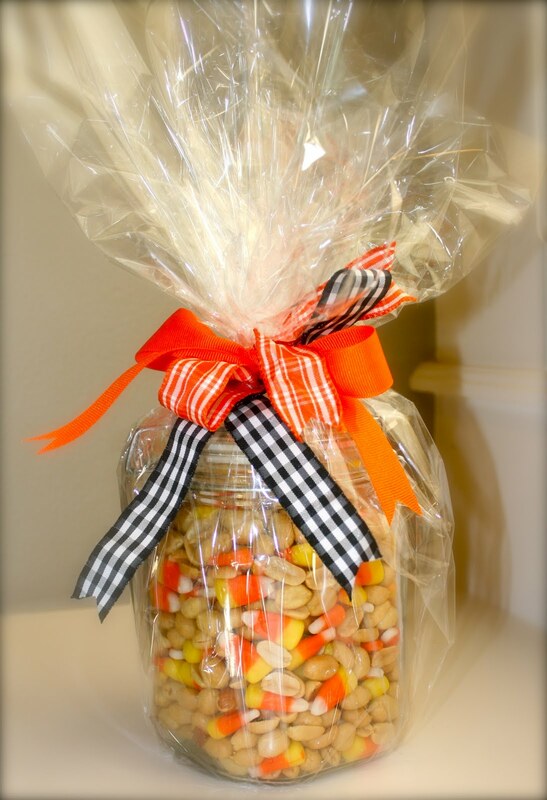 0 Response to "Fall Treat"